Let the family fun circumvent you as you. relish exploring famous magnetizations of Kerala. Crafted for best-in-class holidaying experience. Come along to express your story as well. Arrival at Trivandrum Airport / Railway station move towards the hotel at Kovalam. 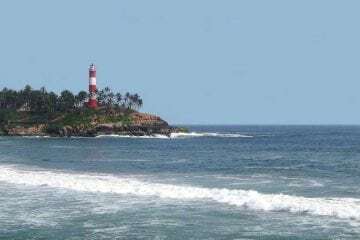 Enjoy the Kovalam beach and overnight stay at hotel. After breakfast drive to the capital city of Kerala, that is Trivandrum. While here, visit Sri Padmanbhaswamy Temple, where the riches of the old age Kings have been discovered recently. Afterwards visit Napier Museum, an Indo-Saracenic building, containing finest collection of Chola bronzes, ancient carvings, and a number of other unique and priceless treasures from Kerala’s past. After that visit Trivandrum Zoo and do some local shopping. Overnight stay will be at the hotel. Sign off to Kanyakumari and check into hotel. The mesmerizing view of the beach will heal your heart for a better living.Visit the famous Vivekananda rock and the statue of Thiruvalluvar, which is situated in the sea on the rock, Suchithram Temple, Gandhi mandap etc. Enjoy an ever memorable sunset from there as it’s the point where Arabian Sea, Indian Ocean and Bay of Bengal are joining together. Later return to your hotel for the overnight stay. After witnessing the art of god, the amazing sunrise, proceed to Madurai, check in to hotel and rest and relax. Visit to Madurai Meenakshi temple, Palace, Tirpuramkundam Temple and local sightseeing are the plan for the day out there. Depart to Kodakanal early in the morning. On arrival check in to hotel, rest and relax for the outstanding venture out there. 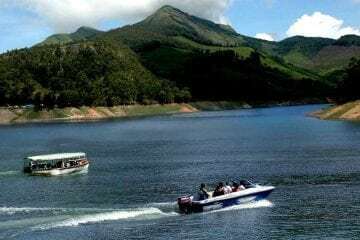 Visiting Bandipur Wild LIfe Sanctuary, Mudumalai Forest, Pykara Dam, Kamaraj Sagar, Ooty Botanical Garden, Ooty Lake Town & Shopping are the main highlights of the venture out there at Ooty. Drive through the scenic network of roads leading to Munnar – the first stop of your Kerala honeymoon itinerary. 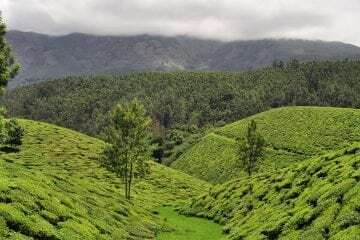 This hill station in Kerala is marked by vast expanses of lush green tea plantations, rivulets, colonial bungalows, gushing waterfalls and a pleasant weather. En route, you visit spice plantations & Valara and Cheeyappara Waterfalls. On arrival at Munnar, check-in at the hotel and relax for a little while. The remaining part of the day is at your leisure, to spend as you like. End your day with a romantic dinner and a sound sleep at the hotel.